Cape Cod African Dance and Drum (CCADD) offers classes and performances in African dance and African drumming throughout Cape Cod as well as the New England area. CCADD’s performing troupe includes professional West African drummers, as well as a diverse group of American artists with a variety of dance and music backgrounds. The ensemble performs at concerts, school assemblies, festivals, parties, weddings and more. 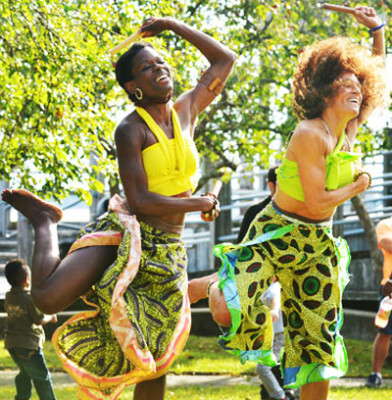 CCADD presents the rich tradition of West African music and dance, then allows the audience to participate actively in the rhythms, movement and song. Their performances and classes are full of spirit and fun for all ages. CCADD dances and drums to uplift the hearts of their audiences, playing for the joy and healing inherent in African traditions. 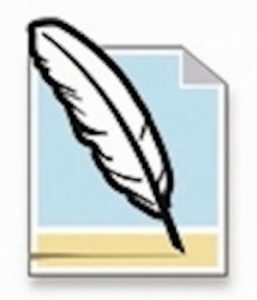 The CAPE AND ISLANDS ART EDUCATORS ASSOCIATION (CCIAEA) was founded in 2003 as a collaborative effort between prospective, current and retired art educators and their supporters. 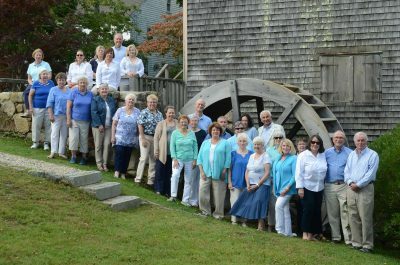 Led by a volunteer advisory committee representing the diversity of our community, the association represents a cross-section of the visual art education community on the Cape and Islands. Our Mission is to foster and advocate for creative, academic and social regional visual art education programs that provide opportunities for educators and students while strengthening liaisons within the community. We are devoted to the nurturing and support of the goals and aspirations of art educators in the Cape and Islands region. We believe that sharing work and life experience actively encourages the social, intellectual and creative growth that enhances our classroom performance and enriches the content we provide our students. We are devoted to finding avenues of ongoing educational opportunities for ourselves and our community. We also believe that as a collective group we can speak with a clear and weighty voice to those issues directly impacting the access to and quality of art education across the region. With a large selection of antique shops and a busy schedule of shows, the Cape is the perfect place for both serious collectors and those newly interested in exploring the joys of finding that “perfect” antique! The Cape Cod Antique Dealers Association (CCADA), which represents over 130 dealers, invites you to explore the Cape’s thriving antique business that has turned the Cape into a “destination location” for antique buffs. You can spend time meandering the roadways of the Cape, stopping in both individual shops as well as large, multi-dealer group shops. Or you can plan a visit around the many high-end shows, featuring quality dealers from both the Cape and across the region. Founded to share the joys of dance & storytelling, as well as the benefits of hard work & focus, with children. Our curriculum was designed to provide a solid understanding and application of both classical technique and theatre fundamentals. Classes & workshops offer a disciplined & nurturing environment for students to study the Performing Arts; while learning skills that will enrich their daily lives. CCBT ’s unique teaching methods & philosophy encourages individual creativity & strengths, while promoting focus, discipline, & teamwork. Classes & workshops help students improve flexibility, coordination, physical fitness, & memory. Challenging bodies & imaginations; all while encouraging creativity, focus, & fun! By studying & performing a different Ballet, Award Winning Children’s story, or Broadway show with each class or workshop; children develop an understanding of & appreciation for all the hard work, dedication, & teamwork necessary, to help make the “show go on.” Whether they pursue a professional life in the Arts, or go on to enjoy them as a patron; CCBT aims to give all students a strong technical foundation in a safe and nurturing environment. The Cape Cod Canal Region Chamber of Commerce – connecting business with community. Welcome to the communities of Bourne, Sandwich and Wareham. Located along the banks of the Cape Cod Canal and the shores of Buzzards Bay. The canal built during the Great Depression became and remains the widest sea-level canal without locks in the world. The canal area is a perfect place to vacation or retire. Whether its business, biking, boating, baseball, beaches or beautiful B & B’s, the Cape Cod Canal Region, has it all! Cape Cod Chat House Gallery is an art and coffee house in an eco-renovated circa-1853 building located at 593 Route 6A in historic Dennis Village, we feature contemporary art, along with food and drink from regional sources. In addition to art, we sell Beanstock coffee beans, Chat House t-shirts, artisan gifts, jewelry, and accessories. Cape Cod Chat House Gallery is a community gathering place to enjoy art, food, coffee, tea, shopping, ideas, inspiration, and conversation. Free WiFi. Ample parking. Awesome patio. Open Wed. thru Sat. 10 am to 5 pm. 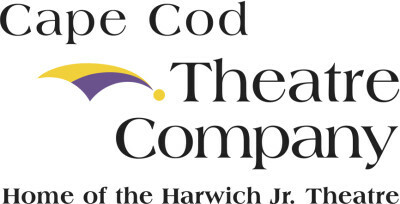 Several renowned performing artists and ensembles bring their talents to Barnstable for two weeks in July 2014. 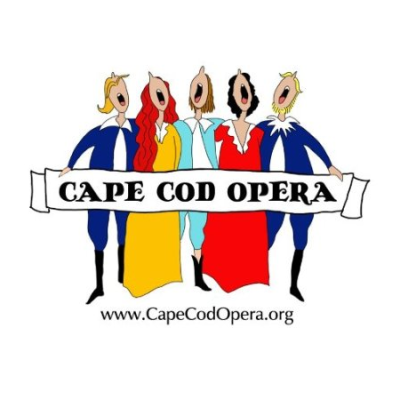 The Cape Cod Early Music Festival offers professional performances of music from the Medieval, Renaissance, and Baroque periods in an intimate and air-conditioned setting. Enjoy a stroll through the church's English-style gardens, and then attend a concert performed by some of the finest musicians on the Early Music scene. 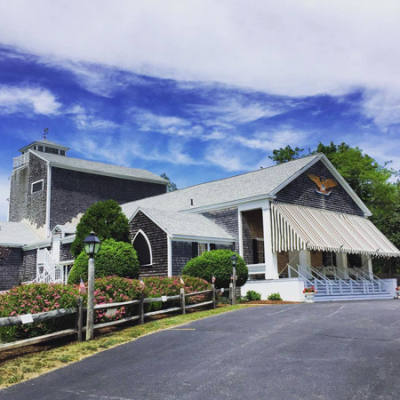 For over 60 years, the South Shore Music Circus and it’s sister venue, the Cape Cod Melody Tent, have been presenting world-class entertainment in the scenic Massachusetts coastal communities of Cohasset and Hyannis. The only two continuously-operated tent theatres in the round in the United States, the Music Circus and Melody Tent are owned and operated by the South Shore Playhouse Associates, a not-for-profit organization dedicated to encouraging and supporting the arts, cultural and educational organizations throughout the communities of the South Shore and Cape Cod. With a colorful history dating back to its humble beginning in 1932 in Cohasset, Massachusetts, one interwoven with the fabric of summer theatre history on the east coast, our theatres have emerged as popular destinations for patrons and performers alike, providing a relaxed ambiance and intimate theatre experience where every seat is within 50 feet of the stage. We are a non-profit organization of artists with a common aim: to better understand the medium of clay by the sharing of knowledge. We operate as an educational, charitable organization through the dissemination of knowledge and experience. We seek to maintain high standards and professional growth within the membership and to generally stimulate the education in appreciation of the making of pottery and allied arts. The organization holds lectures and workshops consisting of diverse topics relevant to various aspects of ceramic production. Throughout the year, potters individually and collectively hold exhibits, demonstrations and artistic activities for the general public, camps and schools.